If you are into House Music, Trance, Hard House, Dubstep, well any kind of dance music, then 127db.com is for you!!!! Make sure to listen today and experience a whole new world of the finest Dance Music and the freshest and latest DJ Mixes from around the world. 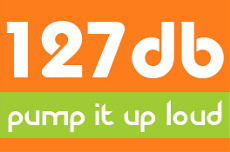 127db.com - Pump It Up Loud!!! !